When you (and you’re loved ones) are often online on multiple devices (laptops, desktops, phones, tablets) and on various platforms (Windows, OS X, Android), you run the risk of cybercriminals peeking at your personal data and invading your privacy. Kaspersky Lab offers security solutions (Kaspersky Internet Security, Kaspersky Anti-Virus, and Kaspersky Internet Security-Multi-Device) to protect your privacy, data, identity, money, and the device itself. According to Kaspersky Lab’s Consumer IT Security Risks Survey 2015, 70% of Internet users are concerned that someone could access their personal files, 61% worry that there maybe programs on their devices collecting information about them, and 49% do not trust their own webcams (these cameras known to be frequently spy on device owners). These concerns need to be addressed. Kaspersky Lab’s security product suites have updated privacy features that include: Private Browsing, Change Control, Privacy Cleaner, and Webcam Protection. 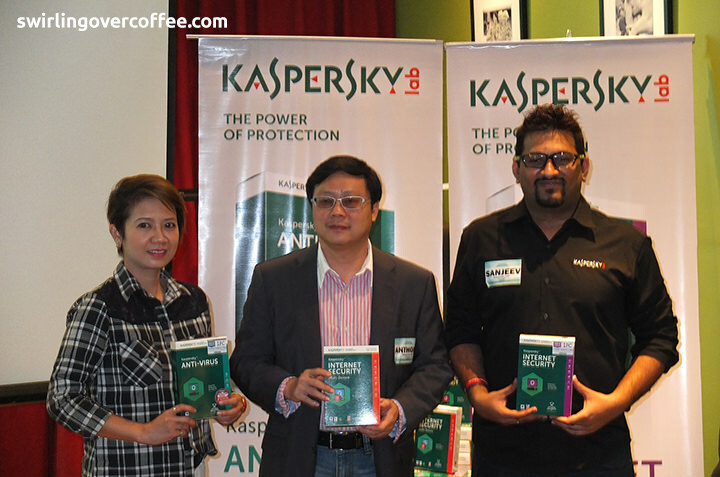 (L-R) Marilen Young (Consumer Sales and Marketing Manager of iSecure Networks), Anthony Chua (Business Development Manager for the Philippines of Kaspersky Lab), and Sanjeev Nair (Corporate Communications Manager of Kaspersky Lab Southeast Asia) are all smiles as they present to the media the latest Kaspersky Lab 2016 Consumer Suite. Social networks, advertising and analytical agencies often request information about users’ browser activities, their locations, search history etc. They access this information via the browser and can resell it, and use it to show contextually targeted advertising to the user. Private Browsing removes such data from the Internet traffic and reports any blocked requests to the user via a dedicated plugin (which is available for Mozilla Firefox, Internet Explorer and Google Chrome). Kaspersky Lab’s technology does not wish to transmit data that could track users; it actually guarantees that this data will not leave the device. It is common for additional extensions to be incorporated on the user’s device without the user’s knowledge when freeware is installed. Those changes could affect the browser homepage and default search engine, or install extra plugins and / or extensions. Also, network and system configurations could be modified without the device owner’s consent. Both of these can encroach on user privacy, since some plugins and extensions may also collect information about users and their online behavior and use it for different purposes. Change Control detects any process attempting to introduce such changes, reports that to the user and asks for the process to be expressly permitted, or blocked. The ‘Change Control’ feature is disabled by default. It can be enabled in the product’s configuration. The updated Privacy Cleaner tool helps remove all traces of user activity from a Windows computer, including the browser history, the list of the latest documents opened. The Webcam Protection feature prevents the interception of images from the webcam, notifies users when it is accessed by legitimate applications and gives the opportunity to block all access to the camera. Change Control, Privacy Cleaner and Webcam Protection features are available only for Kaspersky Internet Security (KIS) and Kaspersky Internet Security-Multi-Device (KIS-MD). Kaspersky Anti-Virus (KAV), on the other hand, delivers essential protection against all types of malware. It safeguards your PC from the latest viruses, spyware, worms and more. It’s the easy-to-use security solution that won’t slow you down. Kaspersky Internet Security (KIS) – One User, P990.